Have you ever noticed the American Idol chrome microphones? 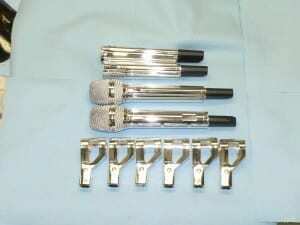 These beautiful microphones have been featured on the hit TV show for several years. The microphones are sometimes tinted with our transparent dyes to produce customs chrome colors. Are those replica Sennheiser SKM 5200 microphones? Or is it just that the lettering has been chromed over and not yet replaced? 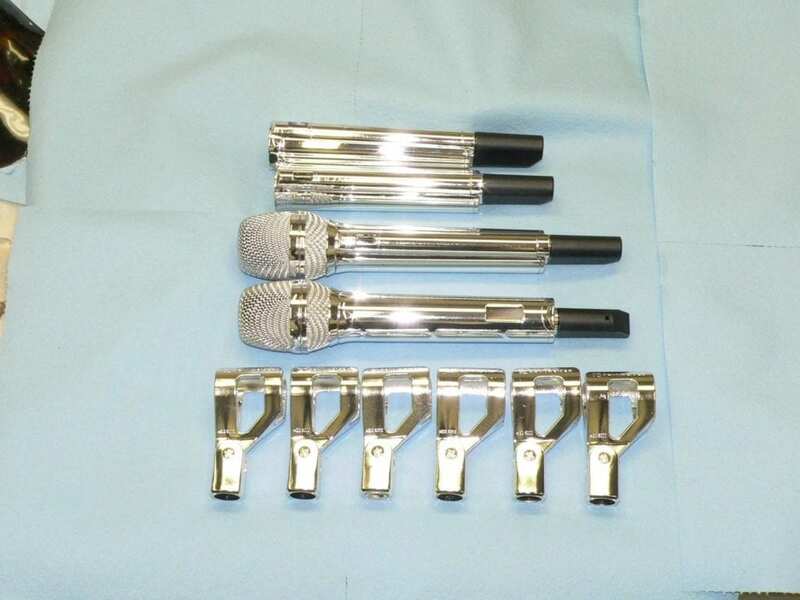 Hi, my name is danzell, and i have a few questions... #1 i have 4 skm 5200s and if i wanted to use your guys services to customize my 4 mics with chrome, how could i get them to you? Do i ship them? And i much would the total cost of 4 chromed Sennheiser Skm 5200 be? Please contact me at Danzellevans10@gmail.com Thank you. Hi Danzell, Please send an email to sales@goldtouchinc.com and we will find someone to help you.